A unique process to get super-clear on who your perfect audience is for your videos (the profitable ones) and what messages they need to hear. In Step 2 of 4, I guide you through exercises that will really get you thinking about how you get results for your clients and potential clients. Don't skip this step. 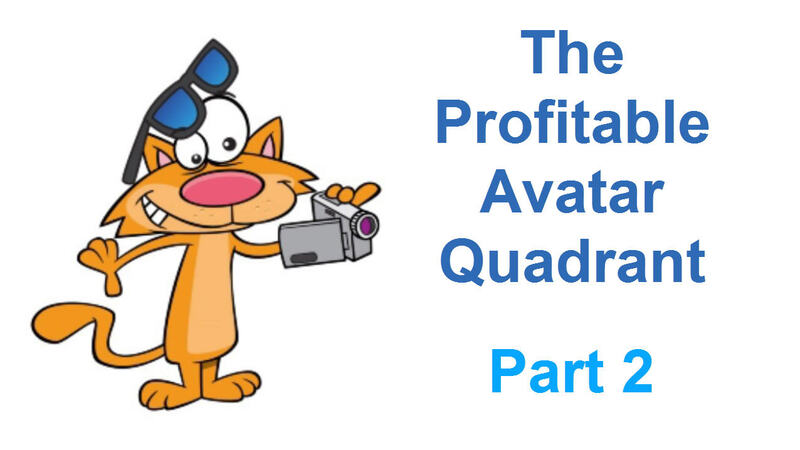 Expected Outcomes: This video is Part 2 of 4 in The Profitable Avatar Series. At the end of this lesson you will have the information on your clients and your own business that you need to easily complete the Profitable Avatar Exercise in Step 3. Expect some ah-ha's about your business while doing this lesson. Plan Your Time: 25 minutes for this page. 2 hours for all 4 lessons including doing the exercises. This module is mega-important so don't skip it ok! I've guided hundreds of business owners through this process and without fail, each and every one gets new insights into how they uniquely get results for their clients (whether it is B2B or B2C). Step 1: Download and print out the Profitable Avatar Work sheets. Step 2: Watch the video above. Step 4: Complete all exercises in the worksheets.